Guest Bio: Bridget Swinney is a registered dietician nutritionist who has spent the last 20 years helping moms feed themselves and their families better through individual counseling, speaking engagements, media appearances and her books. Swinney is the author of the newly released fourth edition of EATING EXPECTANTLY: Practical Advice for Healthy Eating Before, During and After Pregnancy, as well as Baby Bites: Everything You Need to Know About Feeding Infants and Toddlers in One Handy Book, and Healthy Food for Healthy Kids. Bridget Swinney discusses environmental chemicals that are harmful to a woman and her baby during pregnancy. Everyday, household item are are identified as containing harmful chemical compounds. 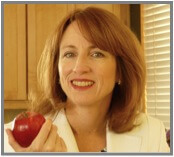 Bridget Swinney tals about her book, “Eating Expectantly”. She also touches on having a healthy relationship with your physician during pregnancy. She also give some helpful online resources for expectant mothers. Dr. Robert Slay tells what goes on in the Emergency Rooms of our hospitals with a humorous twist. He also discusses how Truncal Obesity is epidemic in our society and how it can be avoided and treated. Dr. Robert Slay discusses the book “The Battle Buddy Diet” and how it can help those who read it. 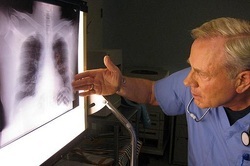 He also touches on his experiences as a Television Doctor and Delta Force physician. Guest Bio: Brian Fleming is a combat veteran, international speaker, and No. 1 best-selling author. His talks about overcoming adversity and finding success are in constant demand. In his book, REDEPLOYED, Brian talks about the challenges that returning veterans face and how they can succeed when they return to civilian life. With an estimated 46,000 to 56,000 veterans coming home in the next 18 months, his message is more timely than ever: Combat veterans are at significantly high risk for PTSD, divorce, substance abuse, depression, and suicide. Whether you’re a veteran, know someone who is, or are simply struggling with life’s challenges, Brian has something to say to you. Brian Fleming discusses why he feels that PTSD is not a “disorder”. He claims that the reactions that a person has to a traumatic experience are perfectly normal. Brian Fleming talks about his experiences as he tried to transition back into civilian life. Also discussed are medication issues associated with his diagnosis and the inspiration for his state of mind and his book “REDEPLOYED”. Brian Fleming gives an in-depth look at his experiences being attacked by a suicide bomber, and his second encounter with being the victim of enemy attack. He discusses his hospital stay and some of the things that made him decide not to give up but to help others who have been through experiences that bring about the onset of PTSD. Brian Fleming discusses methods by which veterans can take control of their mental health issues. He also talks about how his book REDEPLOYED is helping others. Also touched on are ways that a veteran can help his doctor to better understand the particular mindset and experiences of combat vets. Guest Bio: Robin Grille is a father, a psychologist in private practice with twenty years’ experience, and a parenting educator. 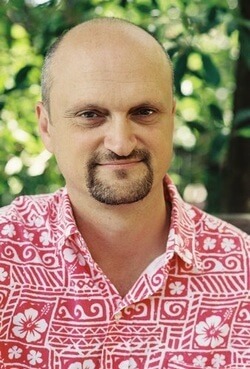 His articles on parenting and child development have been widely published in Australia and overseas. Robin’s first book:’Parenting for a Peaceful World‘ (2005) has received international acclaim and led to speaking engagements around Australia, USA and New Zealand. ‘Heart to Heart Parenting‘ (ABC Books) is Robin’s second book. A passionate speaker and social change activist, Robin’s extensive research has led him to feel that improved attention to babies’ and children’s emotional needs is the most powerful way to move societies toward sustainability and peace. Introduction to the work of Robin Grille, clinical Psychologist, author and Parenting specialist. Robin outlines the connection between parenting a child and the resulting emotional health impact when as that child grows. He introduces the concept of how childhood traumas have a quantifiable neurological and chemical impact on brain development.